Poteau Primary School has an enrollment of just over 700 students in Pre-kindergarten through second grade. Our staff consists of 54 certified and 20 support staff members. Our students and teachers strive for academic excellence in all content areas. To accomplish this, a variety of teaching strategies and resources are used to maximize learning and address individual student needs. Several programs are provided to our students along with our comprehensive core curriculum. One of those programs is Oklahoma Parents as Teachers which currently serves 45 families in our district. OPAT is an early childhood family education and support program that begins during the prenatal stage and continues until a child reaches three years of age. Parents are provided with age-appropriate information to help them build a solid foundation for their child’s future success in school and in life. Another of Poteau Primary School’s early childhood programs is our Pre-kindergarten program. Our 135 pre-k students enjoy a full day program provided through a collaboration between Poteau Public Schools and KIBIOS Headstart. Each pre-k classroom has a certified teacher along with one full time and one part time teaching assistant. A partnership between Poteau Public Schools and the Leflore County Boys and Girls Club provides aftercare for 230 students at the Primary School. In the after school program students are given homework assistance, an after school snack, and enjoy many fun and educational activities provided by certified teachers and support staff. The after school program is open Monday through Friday from 3:00-5:30 to accommodate working parents. Intervention programs are also offered at Poteau Primary School. These intervention programs are provided daily for students performing below grade level in reading and math. This service is provided by certified teachers and paraprofessionals using comprehensive intervention curriculum that helps meet the needs of struggling students. 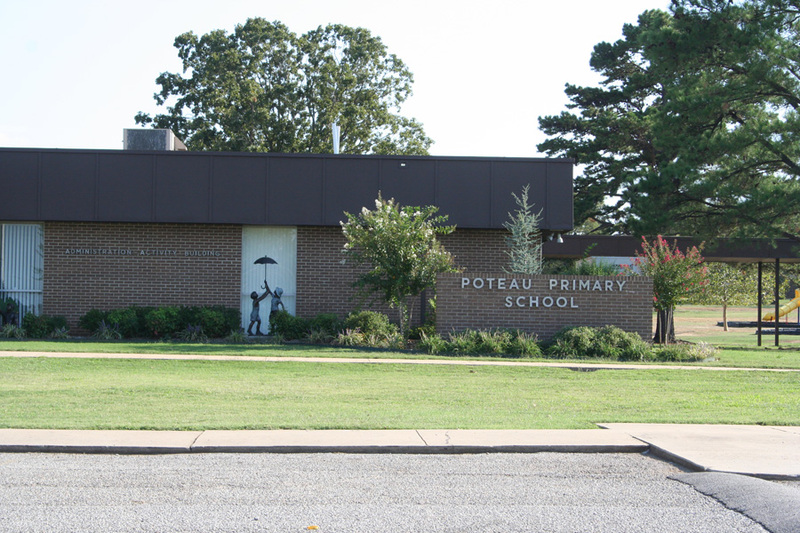 Other programs provided at Poteau Primary School include: Indian education, special education services, services for English language learners, counseling and guidance services, gifted and talented, and a school nutrition program which provides a free breakfast and a hot lunch for over 700 students daily. Students also participate in activity classes such as physical education, music, art, and library on a daily basis. Technology such as smart boards and computer programs like Ticket to Read, Star Reader, and Accelerated Reader are also used to enhance the daily curriculum. Parents are encouraged to be actively involved in the education of their children. These opportunities are provided through regularly scheduled parent/teacher conferences, our school volunteer program, and the local Parent Teacher Association. It is our purpose at Poteau Primary School to help guide students to ownership of skills, knowledge, and attitudes to become lifelong learners, complex thinkers, and responsible citizens in our ever changing society.